Every Summer, our family takes about a 12 hour journey from Florida to the mountains of North Carolina. We’ve been doing it since our kiddos were babies and we’ve learned a thing or two about what works and what doesn’t on these little adventures. One of the ways we’ve kept our sanity has been the practice of not letting anyone become hangry(hunger leads to anger=hangry). 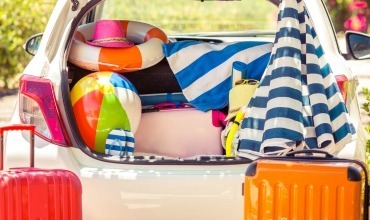 Neither my hubs nor I are big fans of frequent stops, but kids are snackers and having road trip snacks along will save you time and money, allowing you to avoid the gas station junk food break. Over the years, I’ve adapted how we do road trip snacks based on our kid’s ages & needs. 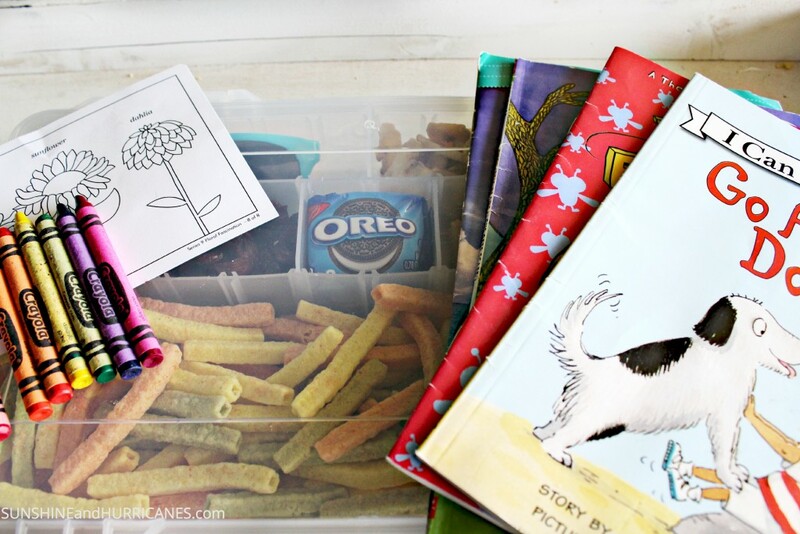 Now that my youngest is a preschooler, we’ve started these daily snack boxes and they’ve been a hit with everyone! We started with new, inexpensive fishing tackle boxes and had the kids fill all the compartments with snacks and necessities for our long van ride. I use snacks that don’t melt easily, don’t require refrigeration, and aren’t too messy. Pretzel sticks, granola bars, fruit pouches, banana chips, nuts, and craisins have been favorites but I always include a special treat as well. The morning we leave, I pass out the snack boxes and the kids know that this is their snack allowance for the day. We’ll be stopping for regular meals, but not planning additional snack stops or refills for their box. They’re in charge of managing their snacks throughout the day; if the snacks are gone at 10am, they’re gone for the day. This is a great way to teach them about choices, time management, and balance in their eating. Another bonus with these boxes is that the flat top, when closed, is a great lap desk for coloring or reading! What an awesome idea! 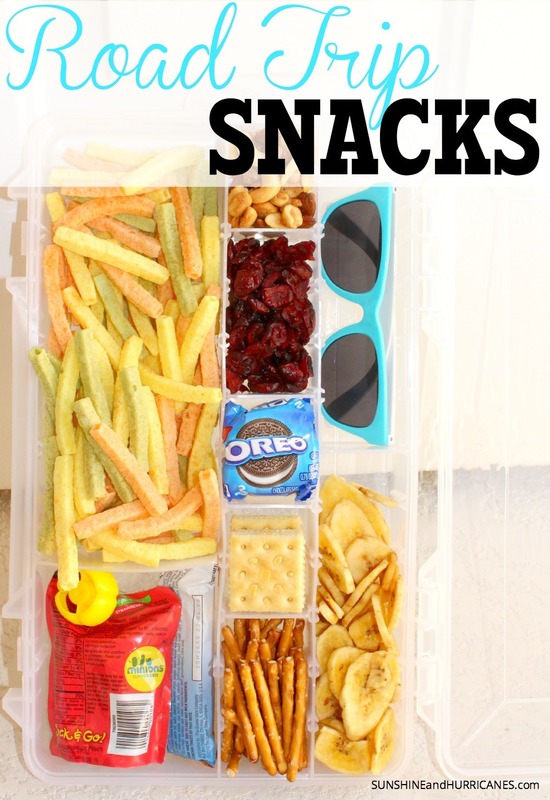 My kids would love all the little compartments for snacking. Your site is so cute! And those road trip snacks are awesome. Love the new 2 pack OREOS. Love! You had me at the Oreos as am a big fan from long ago! It is always important to have some snacks on the road as it is not always convenient to stop and one sometimes does not know what is available! These are awesome ideas! I love the snacks and all the activities. Kids will absolutely love it and they will keep them busy on those long road trips. I love the new Oreo 2 count packs! They are so convenient, and keep my from eating the entire package of Oreos! Love the tackle/snack box/lap desk. Wish I’d thought of that when the kids were small. I’ll pass the idea along now that they’re organizing their own road trips. 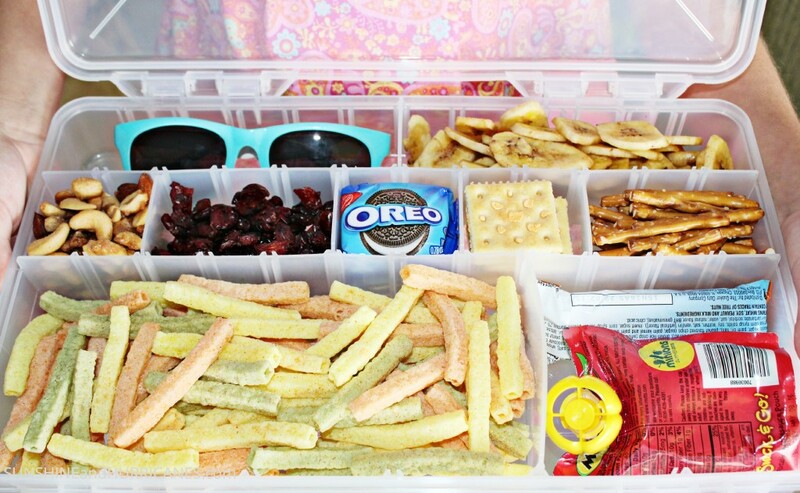 Love the idea of filling a tackle box with snacks. That is genus! I really like the flat top on the box! Great snacks! It does make a fun lap desk of sorts! So true about the angry hunger. I’ve been starting to make my snack lists for our camping trips this summer. Thanks for some new ideas. 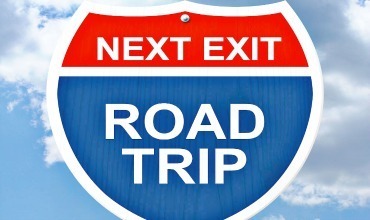 Love great road trip ideas! This is such a great idea! We will definitely have to implement this idea for the next time we go to LEGO Land or Disney. 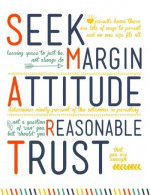 It may eliminate a few “are we there yet” comments from the peanut gallery. Yes! Anything to keep them occupied and avoid that dreaded question!